At KitchenVisions, we believe well done projects are a result of collaboration between clients and the professionals they hire. That requires open communication, coordination and follow-up. Jodi and her associates promise to define, design and deliver your project as envisioned using her expertise as a Certified Kitchen and Bath Designer and Remodeler, including Universal Design and Project Coordinator. Our design pros specialize in residential projects of 'most' sizes and scopes. 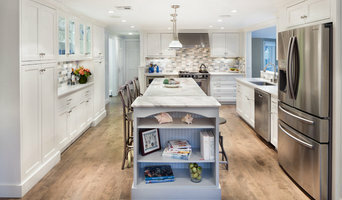 Start with KitchenVisions to focus on re-purposing and remodeling your spaces to maximize storage and function, while creating living areas that are timeless and beautiful. Feel free to reach out to us, we would love to hear from you! Look to Martins Framing Svs Inc to build your new home today! We do everything from the framing your new home to the very last baseboard. No project is too small or large for our team. SLR Architecture is a client focused architectural firm specializing in high-end residential homes. We have a proven design process and exceptional design skills that turn problems into opportunities. Emily’s Interiors provides boutique design services; including everything from interior design, decor and lighting to hardware and cabinets. Diane Burcz is known for her exceptional eye for interiors rooted in a solid understanding of space planning and interior architecture. Her design sensibility is about clean lines, texture and comfort and, just as important – function. She is equally adept at implementation and project management. Over the years, Diane and her husband renovated several older houses. She transformed them into homes that retained their original architecture but included the mid-century and contemporary furnishings that Diane favors in her own home. She now enjoys interpreting her client’s personal taste and vision by proposing thoughtful combinations of elements and furnishings that work well together. She specializes in kitchens and baths but also has a broad understanding of furniture and textiles, and enjoys creating site-specific furniture pieces. While living in the California Bay Area, Diane maintained a green building certification and has recently developed an interest in universal design. 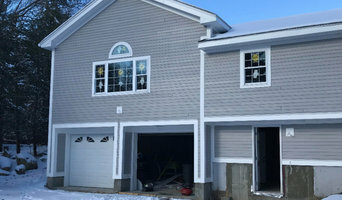 Diane shares her own experiences implementing universal design principles in a Cape Cod renovation described in her blog. Diane started her design education in Interior Architecture at the University of California – Berkeley Extension, and recently earned a certificate in Kitchen and Bath Design from the Boston Architectural College. She is an active member of the National Kitchen and Bath Association (NKBA) and the International Furnishings and Design Association (IFDA), and her work has been featured in The Boston Globe and The Boston Globe Magazine. She has been a featured speaker at design events focused on modern and mid-century modern design. Diane has an undergraduate degree in Psychology and an MBA from Carnegie Mellon University. Nashawtuc Architects is an award winning, client focused architectural firm specializing in the design of custom homes, renovations, additions, small scale commercial and municipal projects. AHI offers full-service interior design. We work with our clients to help establish initial design concepts, then produce design documents and specify all of the components of the design. We collaborate with architects, engineers, and lighting specialists in advising on any necessary changes to facilitate the agreed upon solutions. A wide range of highly skilled tradespeople are recommended to help bring the designs to fruition. For AHI, successful interior design is about using light, space, color, and a mix of materials and architectural elements to inspire those who live in and enjoy the spaces. Contact us today for you next project! We approach every client and project without preconception: urban, vacation, young, established, modern, classical. To us, it's about helping you to find your style and expressing it to the fullest. Maynard Design + Architecture is a small and flexible design firm that prides itself on creative and innovative design solutions tailored to the individual needs and contexts of our clients. Our fundamental approach to every project is to work with every client to develop their ideas and needs and integrate them into the function, aesthetic and design of the final project. Founded in 1997, RBL Architects is a design firm dedicated to fulfilling the needs of the client, the space, and the market. By working together, our goal is to produce a design that is a thoughtful, effective, distinctive, and intelligent solution. Ultimately, what we do best is listen to our client’s needs and solve their problems. Whether it is an issue with the functionality or layout of their existing space, need for additional space or solutions to deal with the age and aesthetics of a property, we pride ourselves on being able to work in different architectural styles to suit the client, the context and the project budget. The firm’s principal, Richard Levey, is a registered architect with over twenty-five years of experience in the field. Working with clients in the Boston area and abroad, he has been responsible for a variety of projects including single family homes, restaurants, spas, large-scale adaptive reuse and corporate interiors projects. He maintains active architectural registrations in Massachusetts and New Hampshire and is a member of NCARB and the US Green Building Council. Contact us and let us know how we can make your space more beautiful, functional and enjoyable. We look forward to hearing from you. At KitchenVisions, we believe well done projects are a result of collaboration between clients and the professionals they hire. ZAZ Studio is committed to designing memorable, immersive spaces and experiences by implementing innovative thinking, strategic planning, budget-conscious creativity, and a firm cohesive vision. Ana Donohue is an award winning designer who is dedicated to infusing a client’s personality and vision into a unique, beautiful and unexpected space. We are a custom design/builder that focuses on our flexible creative design/build system to deliver our customers dreams and wishes. Contact us today! MCG is a design and build remodeling company. We serve clients looking to build a custom home or to remodel an existing home. We are a full service architecture firm providing custom architecture, interior design, and landscape design in the Greater Boston area and all of New England. Your home should not only fit your lifestyle, but inspire you every day. Elms Interior Design is a full-service interior design firm with a focus on creating distinctive homes that reflect their owners’ values and personality. Whether we’re transforming an urban penthouse or a coastal vacation home, we listen closely to translate each client’s aspirations to create beautiful, functional spaces — for the life they want to live. Dee Elms is a leader in the Boston design community, and her work has been featured in many regional and national publications. The firm’s multi-disciplinary practice combines design, architecture, and craftsmanship to manage transformations of any complexity and scale. Our network of talented partners includes leading architects, engineers, and craftspeople who share our dedication to exceptional, highly finished work. Talk to us about bringing your vision to life. We are a father-son team specializing in full-service design-build and general contracting. With over 45 years of combined experience, we self-perform all carpentry, finishes and project management. Hammond Design is a full-service interior design firm practicing in the Greater Boston area. Our team brings decades of residential interior design and remodeling experience to create custom interior spaces that suit the needs of each client. Whether you are looking to remodel a kitchen or bathroom, redecorate an existing space, add an addition to your home, or build a new house, we provide a concierge-level of service from start to finish. Our work has been featured on HGTV, Design New England Magazine, The Wall Street Journal, and Boston Globe Magazine. At Hammond Design we approach each project by listening carefully, taking copious notes, and striving to make each space work how you need it to. We provide floor plans, furniture layouts, elevation drawings, and construction documentation so you can see how the finish spaces will be organized. Once the working details are finalized we collaborate with you on the aesthetics to make the spaces look cohesive. The result is intelligent, refined spaces that reflect who you are and how you live. We offer an initial 1.5 hour meeting to discuss your design aesthetic and give you guidance to make the most of your home. When our meeting ends you will have a targeted budget and a plan of action for you project. The consultation fee is $495 and can be booked by calling our studio at 978-474-9149 or email meg@hammonddesign.net. JFS Design Studio offers interior design services and consultation for residential and commercial projects looking to obtain a unique style that is functional, smart and comfortable. Architecture – Interiors – Design-Build – Construction Management Innovative Collaborations was co-founded by Architect & Artist Martin Alexander Smargiassi. 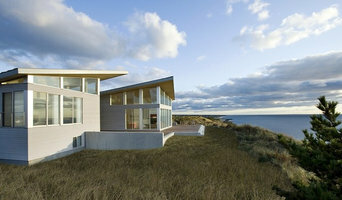 The architecture firm is multidisciplinary with a portfolio of both international and local projects, which include new construction, adaptive reuse, building conversions, renovations, & additions, ranging from small scale residences (lofts, single-family renovations) to large scale residential developments (290-unit residential complexes). Modern Habitat is a design, contracting and project management company focused on green building ideas, smaller homes and smarter designs. Steeplechase Builders is a full-service design/build/remodel firm specializing in superior quality residential projects. Family-Run Boston Based Interior Design Firm Best of Houzz! This family-run, Boston based interior design firm specialized in eclectic interiors that are tailored to incorporate the demands of family living while maintaining a timeless appeal. Interior Designer Barbara Elza Hirsch designs stylish and unique interiors that offer the appeal of being family-friendly and truly welcoming!